Free transportation to and from Artwalk locations! What’s coming up for ARTWALK? Summit Artspace is underwriting the trolley. 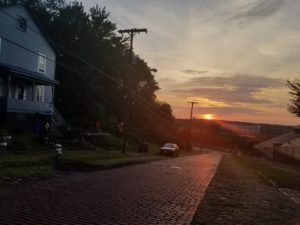 AKRON ARTWALK still has a place in the hearts of local residents as a destination for the first Saturday night of the month. Summit Artspace has had a long and fulfilling relationship with Artwalk and the visitors who come regularly for arts and culture have become our friends! 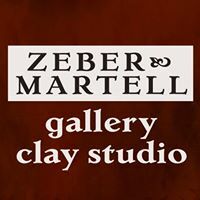 Summit Artspace and Zeber-Martell Studio & Art Gallery are proud to be your “night out” when the first Saturday night of the month rolls around and you need your art fix! The locations will be open from 5 to 9 pm. There are new additions to the participating art businesses as the monthly event grows. Art will still be the focus! Artists will be in their studios talking to visitors about their craft and showing their latest pieces. You may even catch some of them creating. Ask questions! They love it! Many of the studios double as shops so you’ll be able to browse the artwork for sale. At Summit Artspace, galleries will be open. Admission is free. The galleries will regularly exhibit new and wonderful shows that include photography, painting, sculpture, collage, glass, found objects and fiber artistry. There is the Summit Artspace main gallery and the Transition Gallery on the first floor. On the third floor you’ll find Gallery A run by the Akron Society of Artists and The BOX Gallery run by the Artists of Rubber City. Galleries have varying schedules and may not all be open for Artwalks. Here is map of floors 1 and 3. See the Summit Artspace event calendar for Artwalk information.